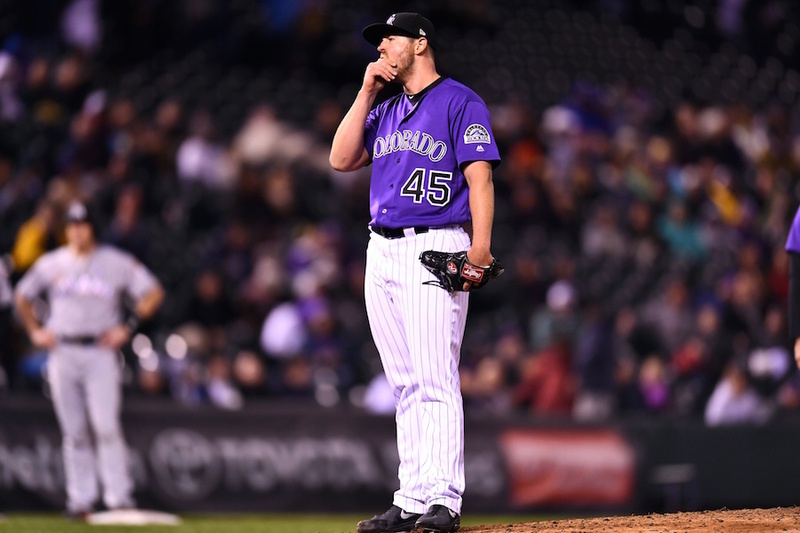 The Colorado Rockies announced that the club has placed relief pitcher Scott Oberg on the paternity list and have recalled infielder Garrett Hampson from Triple-A Albuquerque. Hampson, 23, is making his second stint on the active roster this season. The utility man had his contract selected from Triple-A Albuquerque on July 21 and made his Major League debut by starting at second base in Arizona that night. Hampson recorded his first career hit in the fifth inning of the 6-5 victory, a double that came off Zack Godley. In total, Hampson made seven appearances (six starts) in his first Major League stint and generally played well. Hampson batted .300 (6-for-20) with one run, one double, one triple, two RBI, four walks and one stolen base. The Reno, Nev., native was originally selected by Colorado in the third round of the 2016 First-Year Player Draft out of Long Beach State. Oberg is 7-0 with a 3.12 ERA (34.2 IP, 12 ER), 10 walks and 29 strikeouts in 35 appearances this season. His his seven wins as a reliever rank first in the National League and is tied for third in the big leagues. The Rockies and Astros are currently playing the Houston Astros in Houston, TX.